Would you consider the audio edition of Carnal Secrets to be better than the print version? 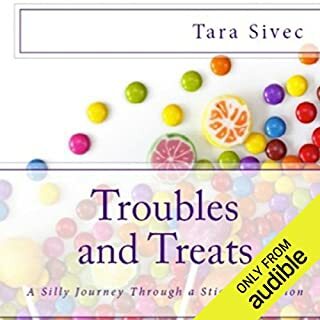 Where does Troubles and Treats rank among all the audiobooks you’ve listened to so far? The story is fantastic and one of the funniest I have ever read/heard. It is my go to series when I am in a funk and need a pick me up. I felt the person reading wasn't quite right for the voice, she is a little hard to listen to as she gets annoying. Plus she doesn't do different voices for the characters which made it a little hard to fallow. I really prefer girl voices for the girl roles and guy voices for the men parts.